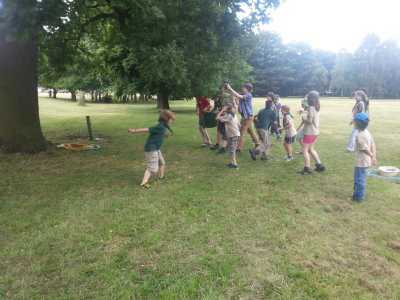 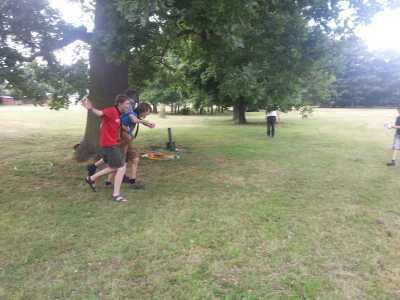 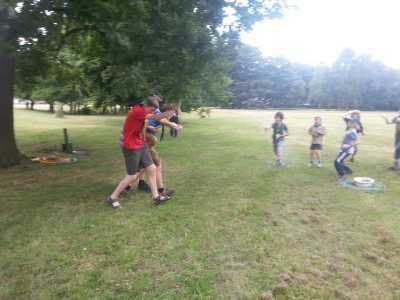 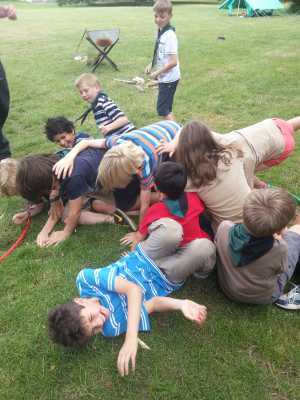 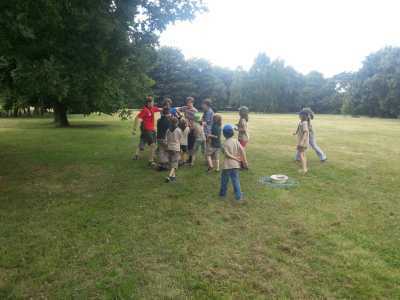 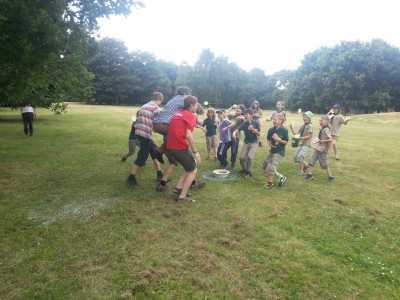 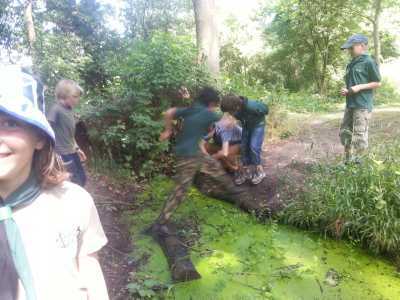 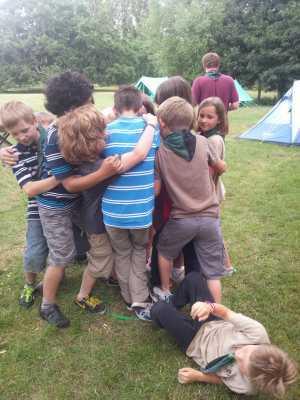 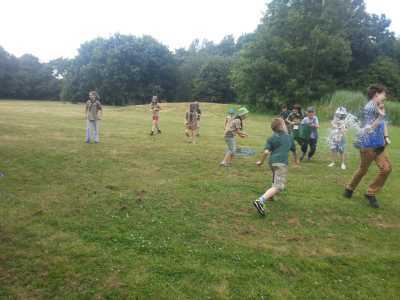 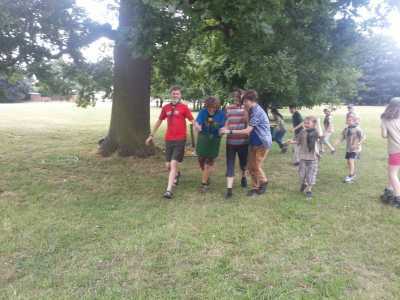 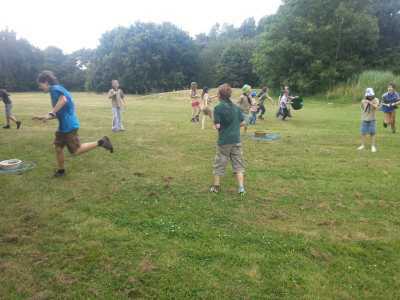 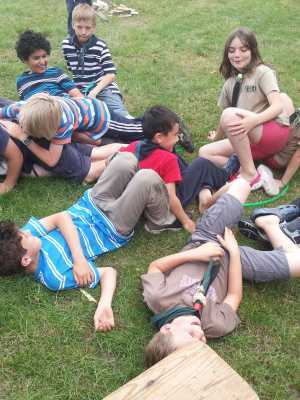 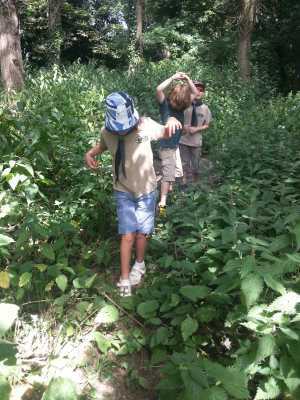 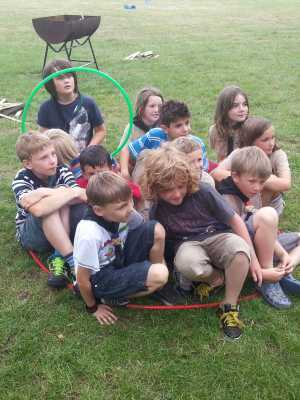 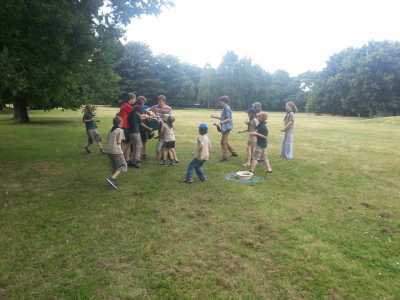 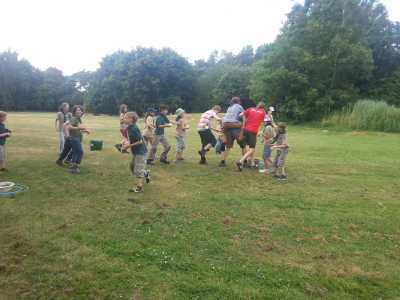 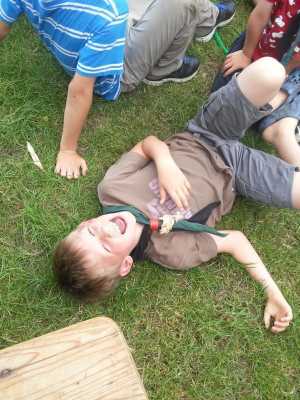 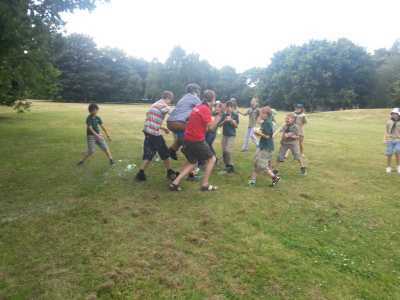 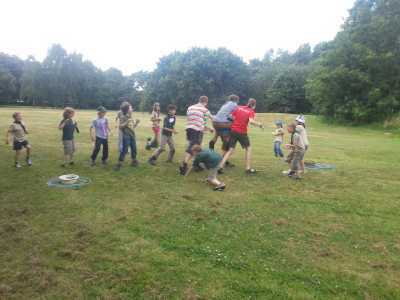 The Cubs went to Henlow, just the other side of Baldock, for their summer camp at Boyd Campsite at the end of July. 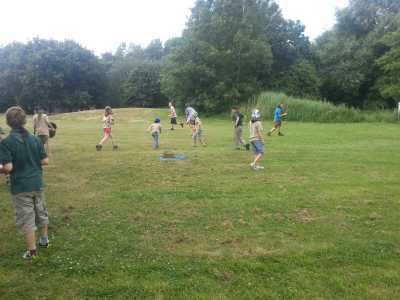 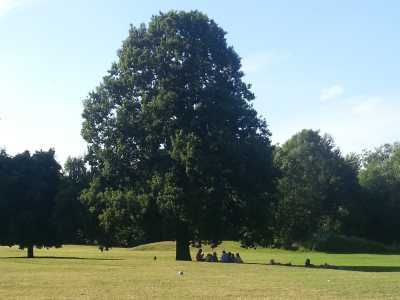 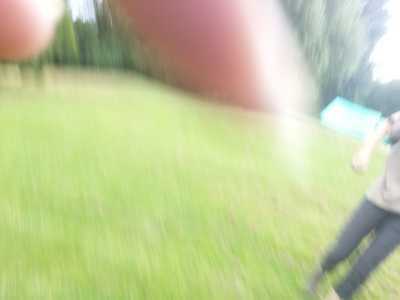 It is a neat grassy campsite dotted with mature trees and equiped with a cimbing wall and rafting/kayaking pond. 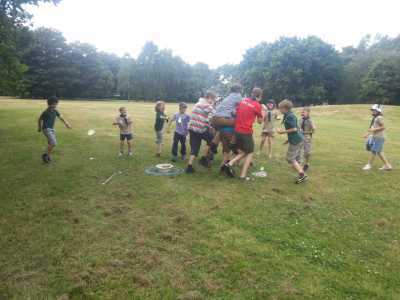 As it was the 70th anniversary of the Dambusters Raid in 2013 the theme was Dambusters, with a couple of water adventures thrown in for good measure. 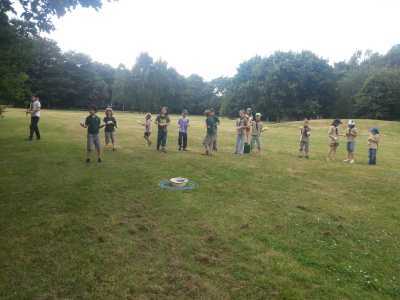 We did our air activities badge by visiting the Shuttleworth Collection and Birds of Prey Centre, our water activities badge by kayaking and rafting and our campers badge by preparing, cooking and serving food, and of course living, under canvas. 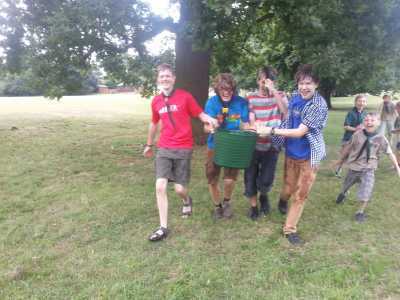 We went on a 4 mile hike (which felt longer) where someone stood on a Blackthon spike which went right through their shoe and into their heel but they marched on like a hero the remaining two miles. 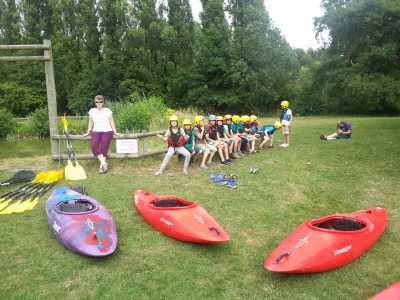 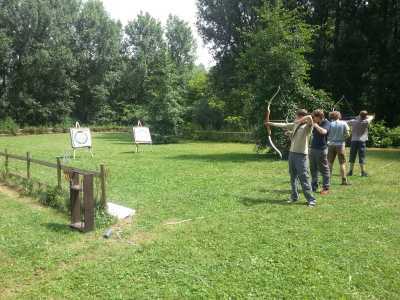 We went kayaking and rafting, climbing and archery. 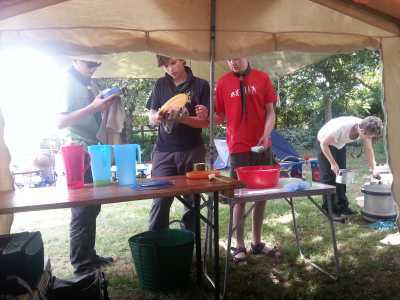 Campers badge cooking garlic bread and pizzarinos. 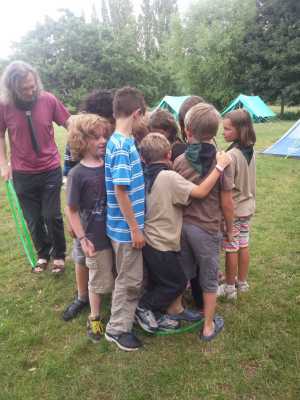 Camp fire in the rain but we still learnt a new song - 'chicken has a wing .. chicken has two wings ..'. 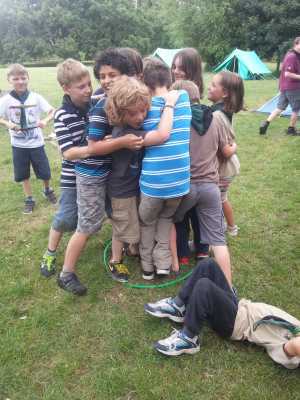 We tried to see how many cubs could fit inside a standard hula-hoop - the answer seemed to be 'all of them, but not for very long'. 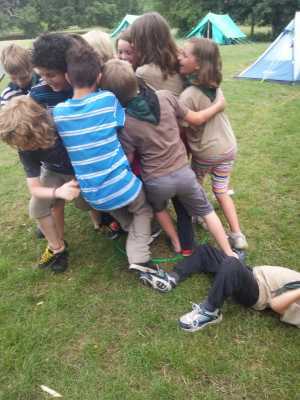 .. in a heap .. 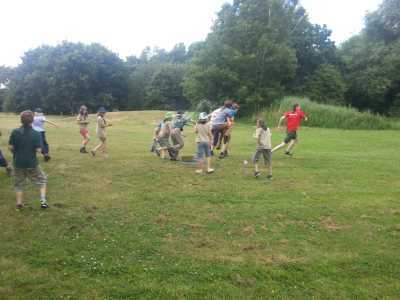 The young leaders realised that the best form of defense is attack, but unfortunately it quickly became clear that their target was me!